This is an interactive lab that teaches what the scientific method is, how scientists and others follow this method. 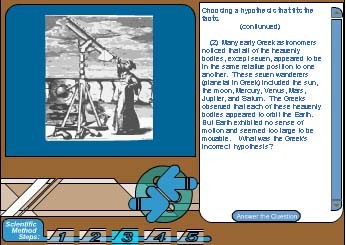 The second part of the lab shows how the scientific method applies to the history of astronomy. Click the image below to launch the activity.